Assistant Treasurer Stuart Robert has paid back nearly $38,000 to cover his unusually high internet bills. It comes after Prime Minister Scott Morrison ordered an investigation last week into why Mr Robert had been slugging taxpayers up to $2,800 a month for internet at his home on Queensland’s Gold Coast. 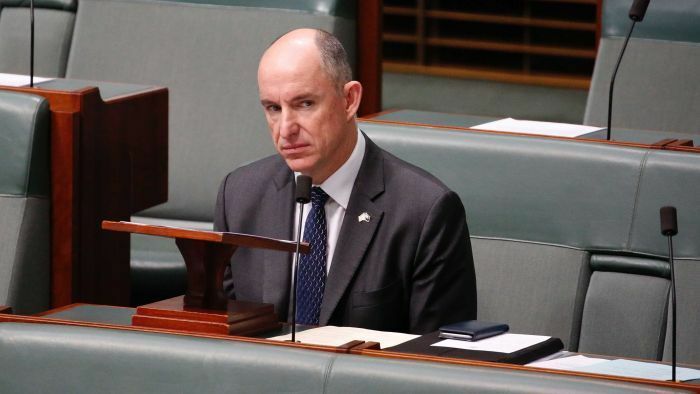 Parliamentarians’ expense records showed Mr Robert charged taxpayers more than $11,000 for home data over a six-month period, which is an average of $1,846 a month for internet usage. On Friday afternoon, Mr Robert announced he had repaid the money. “Regarding internet expenditure – I’ve immediately repayed [sic] a full amount of $37,975 that reflects excess usage charges under the Finance Department’s approved plan,” he said. He had previously blamed “connectivity issues” at his home for the high cost. “My family home is located a significant distance from the telephone exchange resulting in poor broadband internet connectivity,” Mr Robert said in a statement last week. “At the time a 4G home Wi-Fi internet connection was the only way to receive reliable and stable internet access. Next articleCroatia v England in Nations League: Is Southgate beginning a bold new era?